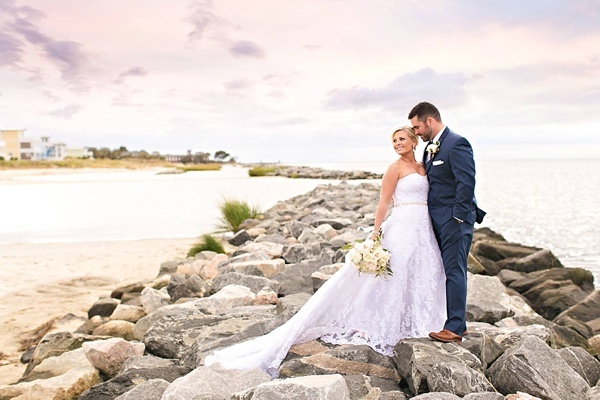 Worldly, modern, and creative is how Events Director Tiffany and her wedding team at The Oyster Farm at Kings Creek describes their ideal wedding couples! As a popular waterfront destination with the view of the Chesapeake Bay, it's no surprise that Virginia lovebirds from all over flock to this idyllic place. 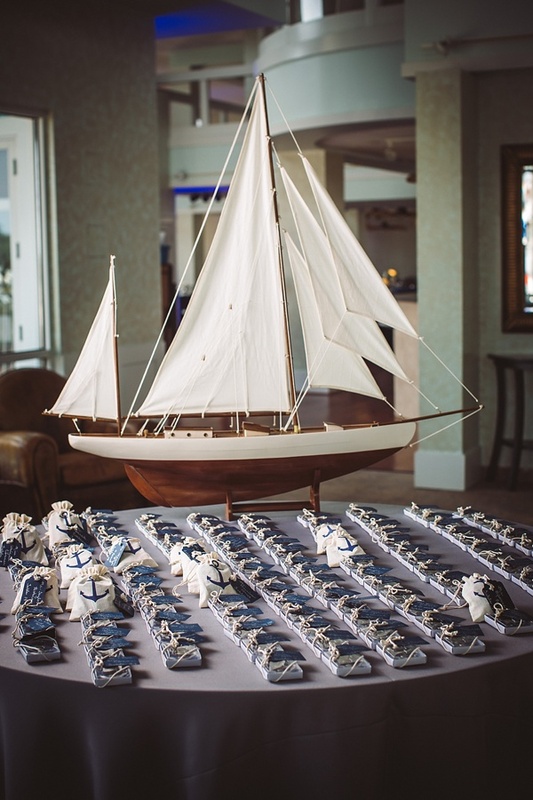 With bright cheerful colors of their marina and event buildings, Oyster Farm hosts beautiful oceanviews, local water and land activities, restaurant, and on-site lodging making it the perfect nook for a wedding weekend getaway. 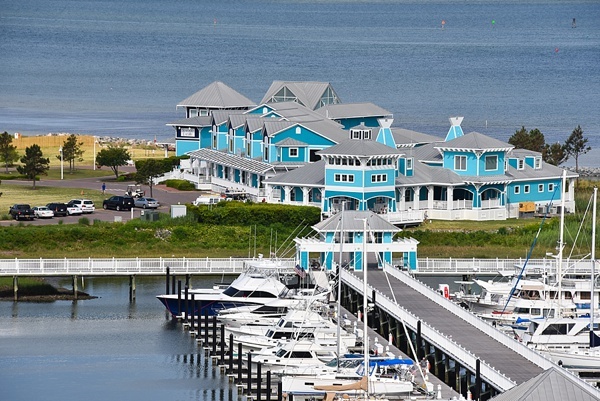 One of Tiffany's favorite things is when clients come back and visit often long after the wedding day or even purchase a vacation home in Cape Charles because of the fond memories they had. From indoor and outdoor venue space options, there is no shortage of beautiful settings no matter your guest size. 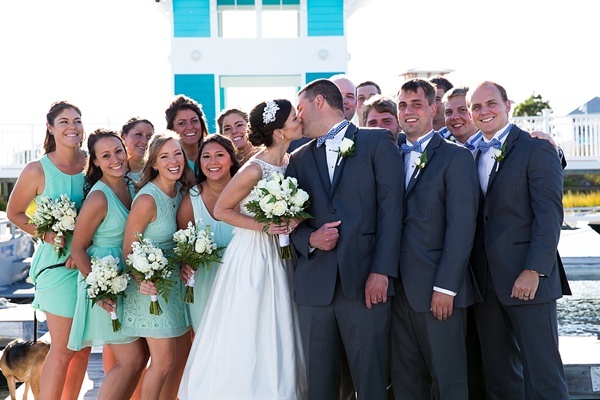 We especially love the lawn for a ceremony because you get to see the vibrant aqua-colored buildings as one side of your backdrop! It's perfect for any nautical lovin' couple! As a Cape Charles local, when Tiffany isn't orchestrating weddings, you can likely find her wine tasting at Chatham Vineyards, going on a kayak tour with Southeast Expeditions, going down to Virginia Beach and Norfolk for the local craft breweries, or just relaxing for a day on the beach. So many amazing things to do in our area!